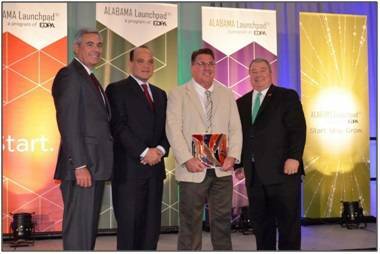 Horizon Shipbuilding, Inc. of Bayou La Batre, Ala. has been recognized for its Outstanding Achievement in Innovative Manufacturing by the Economic Development Partnership of Alabama for the shipbuilder’s GORDHEAD management software, which aims to improve communication between shipbuilders and other manufacturers. 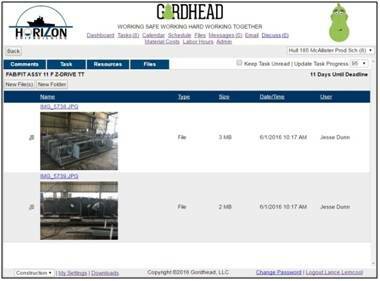 With GORDHEAD the owner’s representative remains integrally connected to the project 24 hours/day, seven days/week. The entire shipbuilding team, including the owner, sees a real-time schedule, complete with task percent completes and the overall scheduled finish date of the project. This date is fluid, depending on the progress of the individual tasks and how that progress affects the project’s critical path. If a task does not have the necessary progress vis a vis the duration of that task, the task will turn red. It the task is on the critical path the finish date of the project will move out. Conversely, if a task is ahead of schedule it will turn green and, if the task affects the critical path, the project’s finish date will move in. This happens automatically when GORDHEAD syncs with the Microsoft Project schedule so the team is always looking at an accurate estimated completion date. The user can also click on any task to review the discussion that has taken place. Has material been ordered? Are there design issues? Is the team waiting on a decision from the owner? Any discussion points are located in a central area for the entire team to see and comment on, including the customer. Questions posed to the owner and the owner’s response is instantaneously seen by every team member. Resolution of any issue is truly a collaborative process by the entire team. 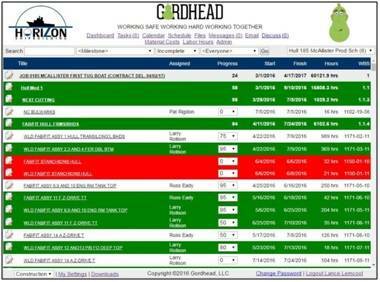 If the issue results in a change order, the entire change order discussion takes place within a secure contracts section of GORDHEAD. After the change order is negotiated, approval is made via a GORDHEAD comment on the task and the team knows the instant that approval takes place. There is no confusion as to whether the work is approved or not. 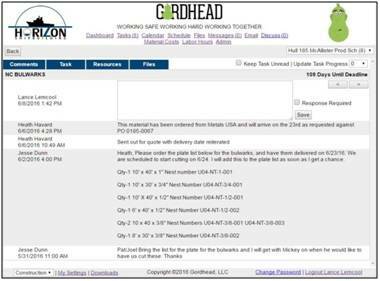 In addition, all documents, drawings, progress photographs, sketches, specifications…anything that has to do with the project, resides on the GORDHEAD portal for all of the team to access. Drawings are up-rev’d and placed on the task’s files section. Old revs are deleted so production is always looking at only the latest drawing revision. 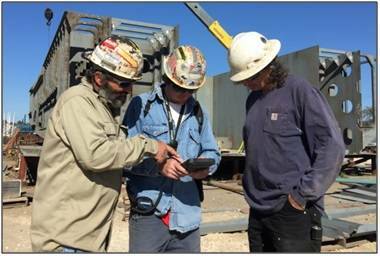 Taking full advantage of the efficiencies modern technology provides, production leaders carry ruggedized tablets that connect to a secure wireless network so that production issues can be dealt with without the need for the supervisor to leave their work area on the boat. With this new management “brain” Horizon said it has been able to reduce production manhours and shorten delivery schedules, enabling Horizon to become more competitive. This competitiveness has resulted in an increasing backlog during a very challenging shipbuilding market. Both of its new customers, McAllister Towing and Transportation Company, Inc. and Hornblower New York Ferry Fleet, LLC, mentioned GORDHEAD as a contributing factor in their selection process.